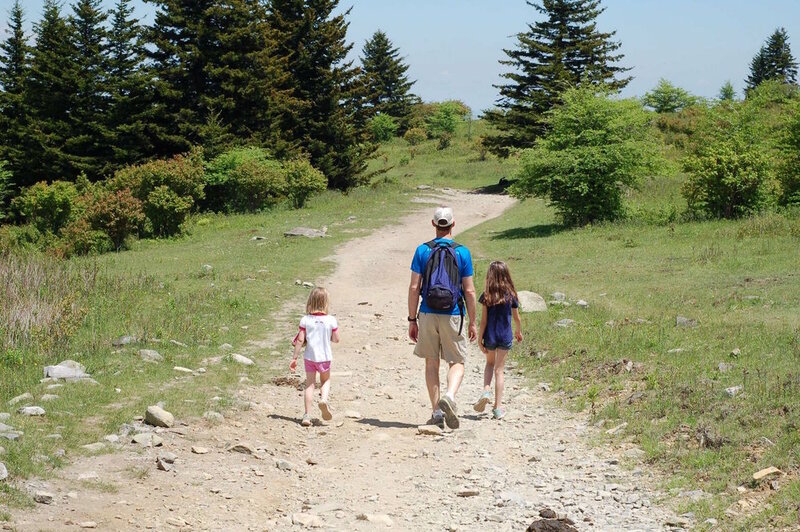 If you want a great outdoor weekend with your family, biking the scenic Virginia Creeper Trail and visiting nearby Grayson Highlands State Park is an excellent combo. The Creeper Trail even has a shuttle option for those who want to hitch a ride up the mountain and coast their bike downhill. On your next day, take a hike at Grayson Highlands State Park, famous for its soaring views and wild ponies. You have several options for basecamp. If you’d like a bit more civilization, the quaint town of Abingdon offers terrific restaurants, a craft brewery, and the famous Barter Theater. Catch a show at the Barter and stroll around Abingdon's historic downtown. You'll find plenty to do! Need a great weekend destination? Too busy to read through a million blogs and guidebooks to plan a family trip? Don’t worry, it's already been done for you. This guidebook has everything you need to know: where to sleep, eat, and play along with tips that keep everyone happy. All organized for you into detailed day-by-day plans. Recommended lodging for each town along the Virginia Creeper Trail. Whether you want a hotel, a mountain cabin, a cottage within walking distance to town, or a nice place to pitch your tent. Experience the wonder of nearby Grayson Highlands State Park. The scenery is amazing, the hiking is wonderful, and you may even see a wild pony! This itinerary will point you to the best family-friendly trail in the park.